Leading Manufacturer of sandstone balustrade, sandstone wheel, roofing slate, sandstone ball, sandstone bench and sandstone drywall from Jaipur. We are amongst the leading names in the industry offering attractively designed range of Sandstone Balustrade that are acclaimed among the clients for optimum quality and durable finishing. They are designed with perfection and are quality assured. 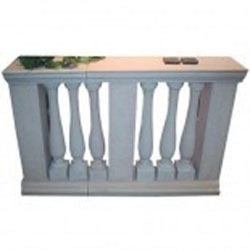 Sandstone Balustrade add attractive look to the surroundings and are durable in nature. 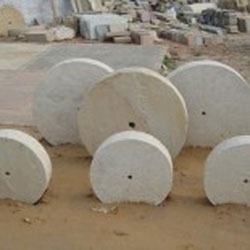 Leveraging on our vast industrial experience in the industry, we offer varied range of Sandstone Wheel that are quality assured in nature and have smooth finishing standards. Our entire product range is dimensionally accurate in nature and is treasured for high quality and exceptional strength. With the assistance of experienced professionals, we offer an exceptional product range. 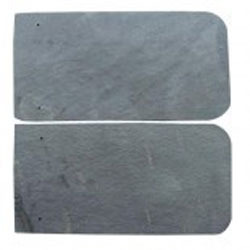 Owing to years of experience in the industry, we offer highly durable range of Roofing Slate that are weather-resistant in nature and have smooth finishing. We offer them in varied grades and dimensions and have lustrous finishing. They are quality approved and are used for construction purposes. Clients can avail them in varied technical specifications and are offered at most affordable rates. We are amongst the reckoned names in the industry, offering wide range of Sandstone Ball that are creatively designed and add attractive look to the surroundings. Our entire product range is weather-resistant in nature and is delivered in standard sizes. We test them on varied parameters thereby delivering an exceptional range of products. We are counted amongst the leading names in the industry offering wide range of Sandstone Bench that are designed with perfection. We offer them in varied finishing standards and are durable in nature. Our entire product range is resistant to adverse climatic conditions and is delivered in standard patterns. 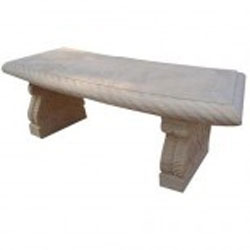 Sandstone Bench are quality assured in nature. We are counted amongst the reckoned names in the industry, offering wide range of Sandstone Drywall that are acclaimed among the clients, for high quality and smooth finishing standards. They are creatively designed under the supervision of experienced designers who deliver an exceptional range of products. Moreover, we offer them with customized solutions. 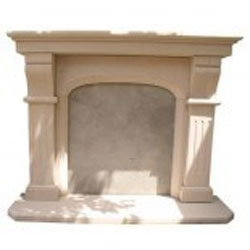 In order to cater diverse requirements of the clients, we offer astonishing range of Sandstone Fireplace that are acclaimed among the clients for high quality and smooth finishing. Our entire product range is resistant to adverse climatic conditions and is delivered in standard grades. They are placed to add sophisticated look to the environment. 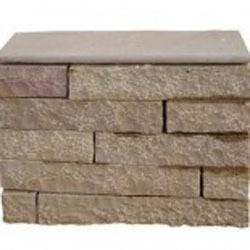 We are counted amongst the leading names in the industry, offering world class range of Sandstone Pillar that is acclaimed among the clients for high quality and durable standards. They add attractive look to the environment and are durable in nature. Our entire product range has smooth finishing and is in adherence with set quality standards. 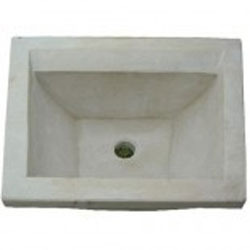 Keeping in mind the diverse requirements of the clients, we offer varied range of Sandstone Wash Basin that are durable in nature and have smooth finishing. We offer the entire product range in standard sizes and designs and are in adherence with set quality standards. They are easy to clean and add attractive look to the surroundings.